In this video I show you how to attack short backspin serves using a backhand flick and a forehand flick. Is it possible to attack short backspin serves? Yes it is! Is it easy? No. But it is possible. Of course, it is fine to push or touch short backspin serves too, but if you can learn to attack these serves, you have more options to put your opponents under pressure. In the video, my team-mate Daniel Hearne-Potton shows off his flicking skills and I explain Daniel’s technique. 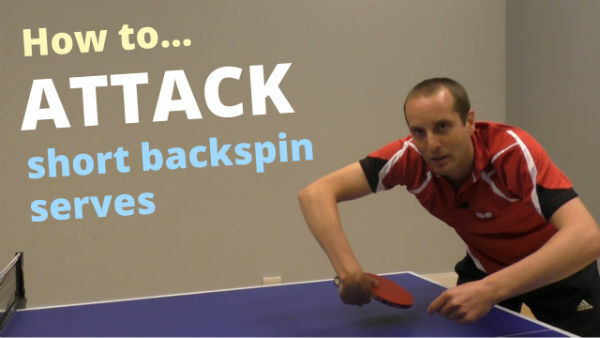 0:42 – Tom discusses if it is possible to attack short backspin serves. 3:26 – Daniel demonstrates the forehand flick and Tom explains how to play the shot, including bat engle, timing and type of contact on ball. 5:46 – Push or flick? Tom explains when you should push and when you should flick.